Unlimited recreational uses for this property. 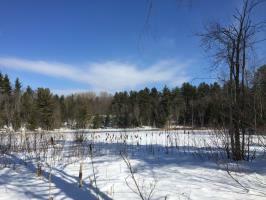 Near snowmobile and ATV trails, ride from your property. Wooded property has large trees for private home or camp. Property extends to other side of Bud Lee Pond. Mature hardwoods surrounding the pond sets up nice for your hunting and fishing get away.